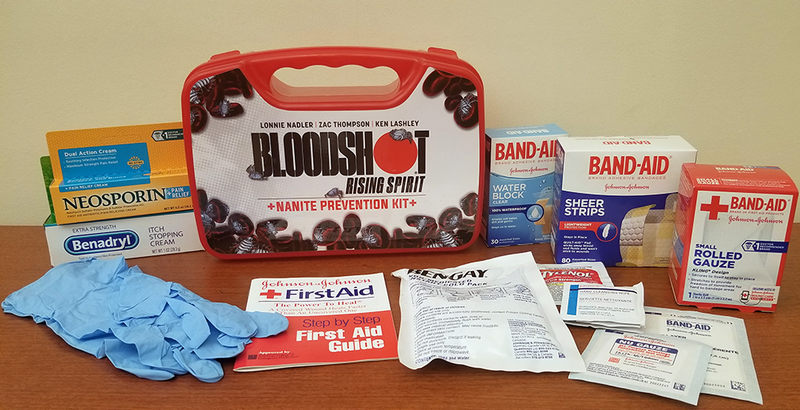 With the release of Valiant’s next tentpole ongoing series, BLOODSHOT RISING SPIRIT #1, the critically acclaimed comic publisher is proud to announce a super-limited new promotional item exclusively available to comic retailers – the BLOODSHOT RISING SPIRIT NANITE PREVENTION KIT! 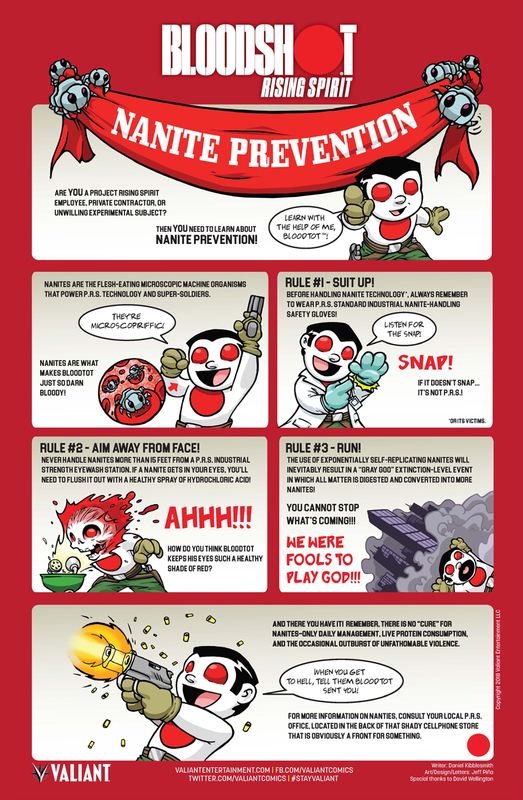 Plus, the kit also comes with the BLOODSHOT RISING SPIRIT NANITE SAFETY GUIDE, a fold-out poster with prevention tips written by comedic talent Daniel Kibblesmith (QUANTUM AND WOODY!, VALIANT HIGH, Lockjaw) and illustrated by eye-popping artist Jeff Piña (Dr. Oblivion’s Guide to Teenage Dating)! Will you be needing this new first aide kit? Let us know in the comment section below. Also, don’t forget to Like, Share and Subscribe to all things Constant Collectible so YOU can keep up to date with all the news and reviews from a world of GEEK CULTURE.